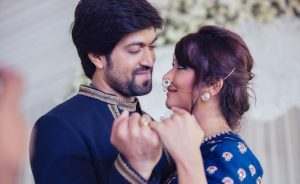 Sandalwood’s hottest and cutest couple Yash and Radhika Pandit finally got hitched in December 2016 after a courtship of 6 long years in a lavish star studded wedding ceremony. Here’s a glimpse of what jewellery the pretty actress wore on her big day. Radhika looked gorgeous in every wedding event; mehendi, engagement, wedding and two receptions. Radhika went simple but looked cute in Traditional Indian Gold Nath and big earrings on her engagement. 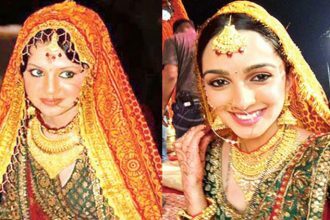 She chose the gold nath, heavy gold jhumka with ear chain, heavy gold designer choker necklace and long gundla hara on her pre-wedding event. Radhika looked classy in heavy long antique temple necklace, konkani style coral mangalsutra, choker necklace with antique pendant, antique gold jhumka( annapakshi design) and multi line maang tikka. 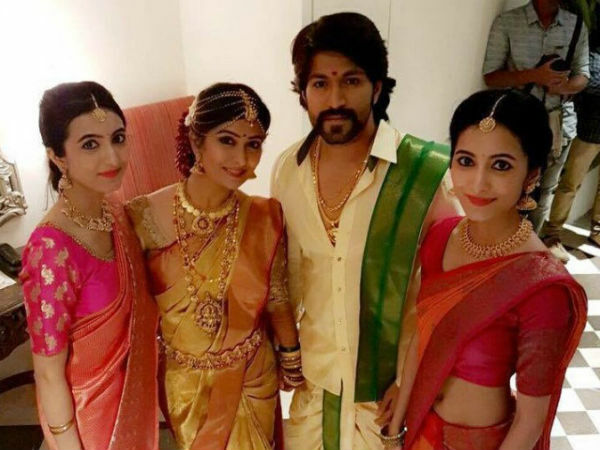 Yash also looked great in Indian attire with long gold chain and pendant. 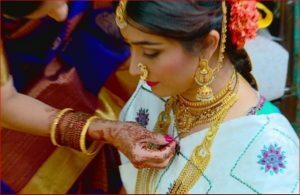 She adorned a beautiful antique gold vaddanam during her wedding. The beautiful actress welcomed her fans in grand public reception event in a beautiful designer choker necklace and long multi line gold beads hara. 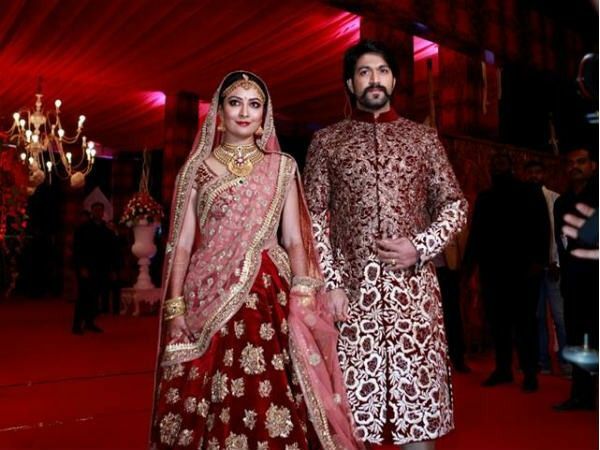 Radhika Yash Pandit looked gorgeous on her reception ceremony adorning a heavy designer choker necklace.